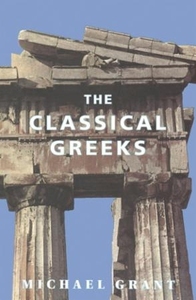 The story of the Athenian Golden Age by one of the world's pre-eminent classical historians. The Golden Age of ancient Greek city-state civilization lasted from 490 to 336 BC, the period between the first wars against Persia and Carthage and the accession of Alexander the Great. Never has there been such a multiplication of talents and genius within so limited a period and Michael Grant captures this astonishing civilization at the height of its powers.